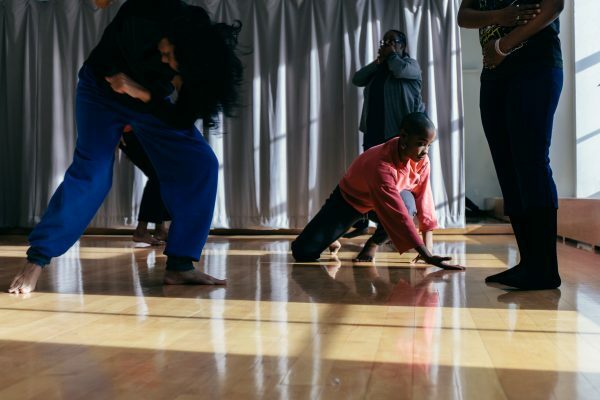 Skeleton Architecture is a collective of Black womyn and gender-non-conforming dance artists. This master class will be led by Jasmine Hearn and Marya Wethers. Jasmine Hearn, a native Houstonian, graduated from Point Park University. A director, choreographer, performer, teaching artist, vessel, and dancer, she/they currently collaborates with filmmaker and visual artist, Alisha B. Wormsley. A part of the performance cast of TRANSMISSIONS, an exhibition by Nick Mauss at the Whitney Museum, Jasmine has also worked and performed with David Dorfman Dance, Alesandra Seutin’s vocabdance, Solange Knowles, Kate Watson Wallace, STAYCEE PEARL dance project, Marjani Forte Saunders, Jenn Meridian, Helen Simoneau Danse, and Lovie Olivia. Awarded a 2017 "Bessie" Award for Outstanding Performance as a part of the ensemble, Skeleton Architecture, Jasmine recently was an artist in residence at The Camargo Foundation in Cassis, France and a 2018 Dancing While Black fellow. She is currently a 2018 Movement Research AIR and can be found traversing the world collaborating and performing in multi-disciplinary projects. Marýa Wethers is a Bessie Award winning performer (Outstanding Performance with Skeleton Architecture, 2017). She is currently dancing with Skeleton Architecture and iele paloumpis, and previously with jill sigman/thinkdance, Deborah Hay, Jack Gray (I Moving Lab Hawaii tour and Indigenous Dance Forum), Ivy Baldwin, luciana achugar, visual artist Senga Nengudi, Daria Faïn, Faye Driscoll, Yanira Castro. As a Curator she conceived and created the three-week performance series “Gathering Place: Black Queer Land(ing)” at Gibney Dance and curated for Queer NY International Arts Festival (2016 & 2015) and Out of Space @ BRIC Studio series for Danspace Project (2003-2007). Her writings have been published in the Configurations in Motion: Curating and Communities of Color Symposium publications, organized by Thomas DeFrantz at Duke University (2016 & 2015) and UnCHARTed Legacies: women of color in post-modern dance in the 25th Anniversary Movement Research Performance Journal #27/28 (2004).